Your health in your hands. 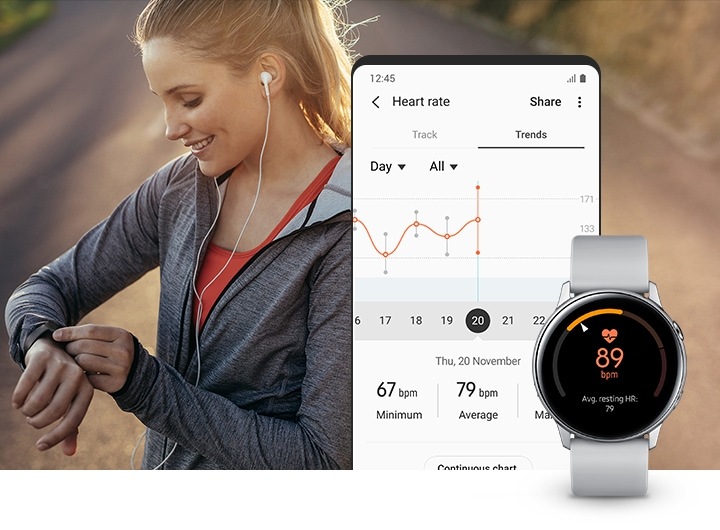 Samsung Health tracks your activity, nutrition, stress data, heart rate and sleep, and delivers insights for you. 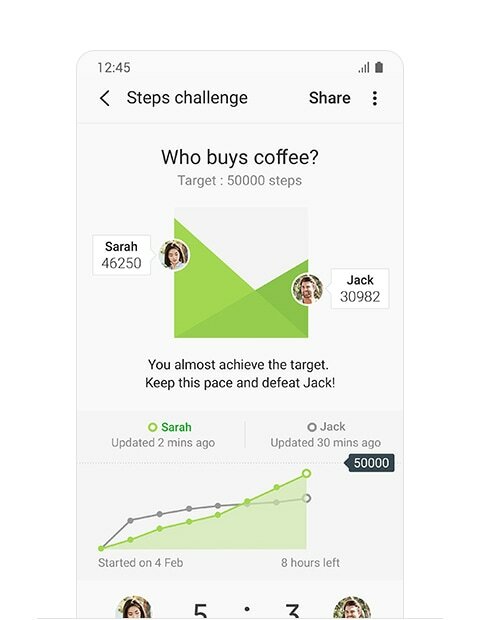 Download the Samsung Health app. Small changes get big results. By setting goals in three key areas of your life, you can take steps towards becoming a better you. Set activity goals, see when you hit your milestones and get a nudge when you need to do a little more. Establish nutrition goals and see a detailed breakdown of what you consume to help you stick to your goals. 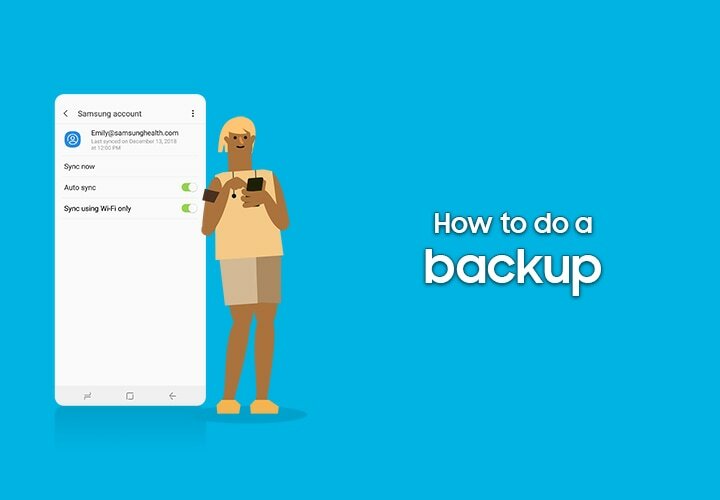 Samsung Health helps you get on track with a good sleep schedule. 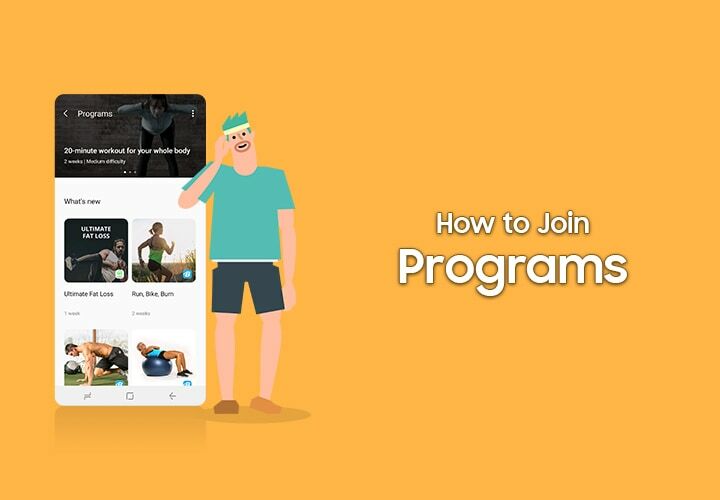 Help you manage your fitness and wellness better. Keep track of your progress each and every day without giving it a thought. Just begin. 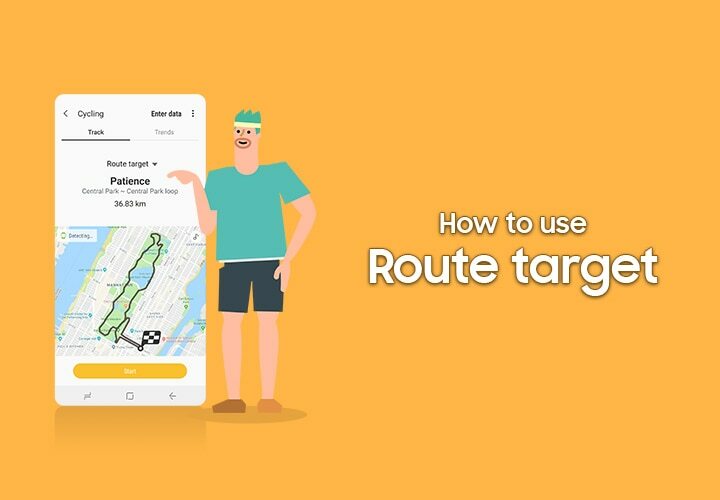 * Auto-detection will work if you are walking or running for more than 10 minutes. * The Stress feature may vary by country and device. * The Heart Rate feature may vary by country and device. 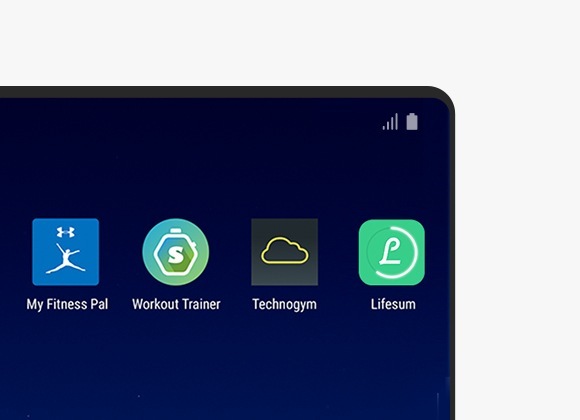 Samsung Health comes with workout auto-detection. 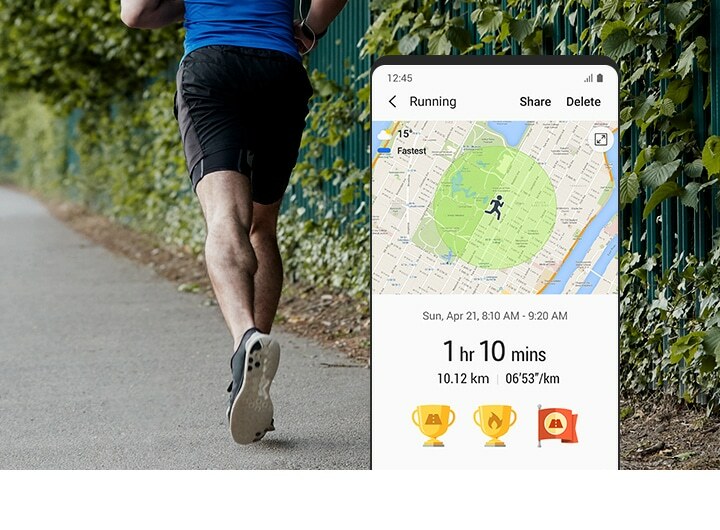 When you are running or walking, Samsung Health recognises your movements and tracks it on your devices. Continuously measure your stress level and lower it with a breathing exercise anytime, anywhere using your wearable. You can also follow breathing tips to help relieve stress. Record your heart rate throughout the day and use it to check your fitness level and activity intensity. Health news, exercise videos, supporting health accessories and partner’s service are all here. * The feature of "ARTICLES","MINDFULNESS","PROMOTIONS" are available in certain countries. Point, scan, and keep track. 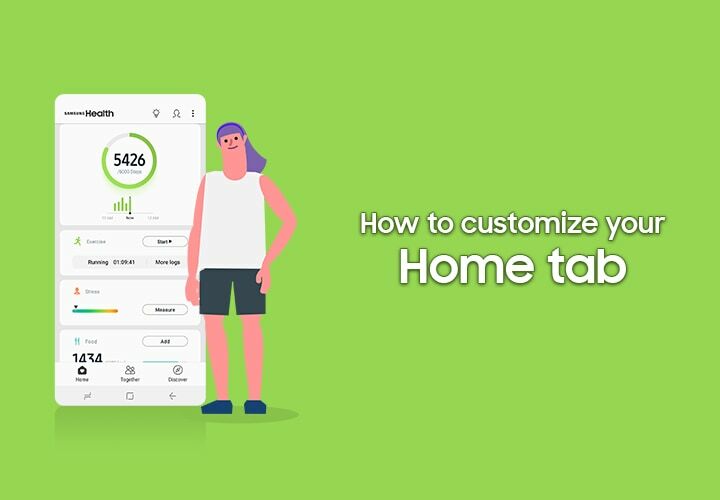 Discover an easier way to track your nutrition. 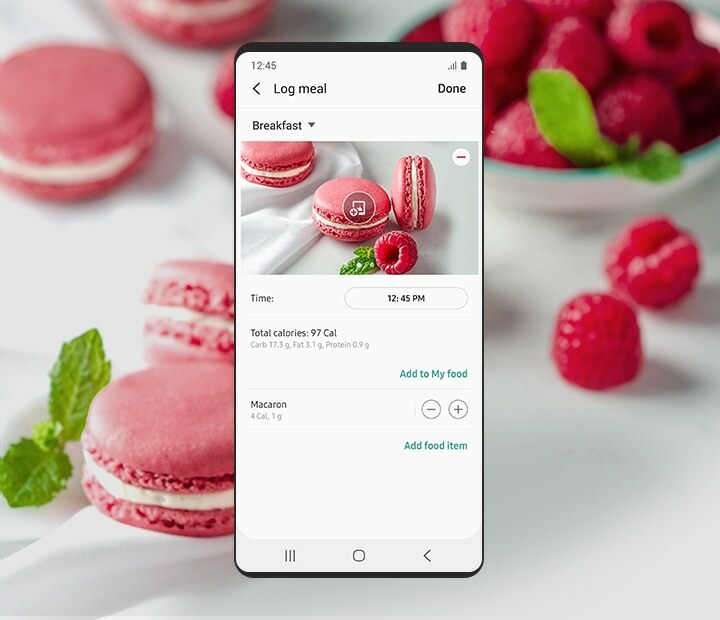 Use Bixby Vision to scan your food and Samsung Health will calculate and log the information. * Currently available with Galaxy S10/S10+/S10e/Note9/S9/S9+/Note8/S8/S8+/A9 Star/A8 2018/A8+ 2018/A7 2018/A5 2018/J7+/A6/A6+/J7 Top and W2018(China). * This is only an estimate of the energy content of food. 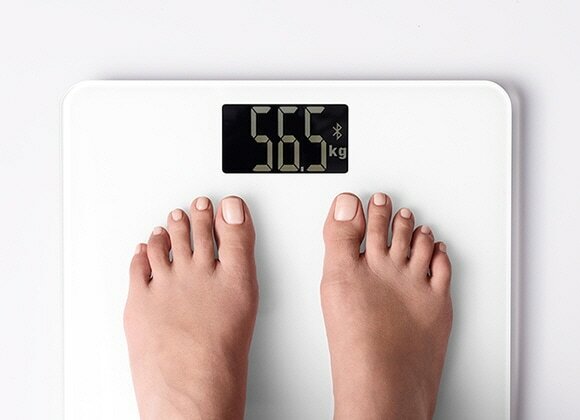 The number of calories actually absorbed by the body can vary. * Results may vary. 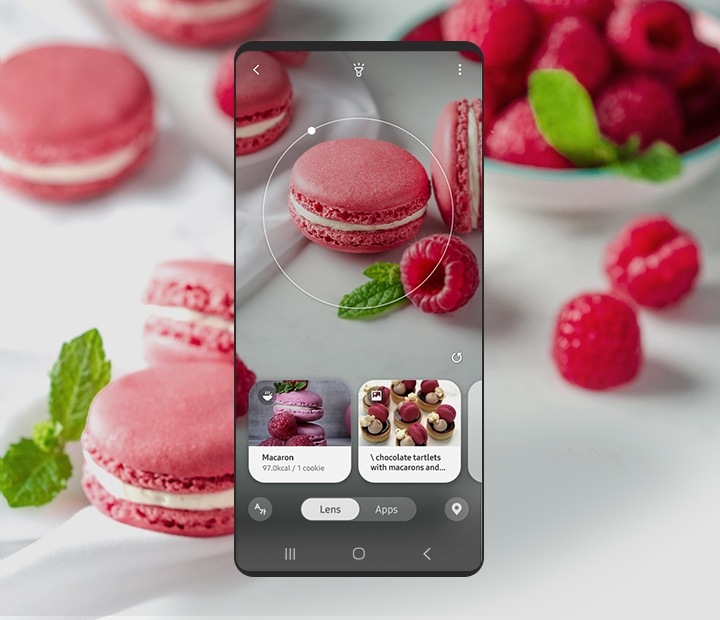 Accuracy of Bixby Vision may differ depending on surrounding conditions. 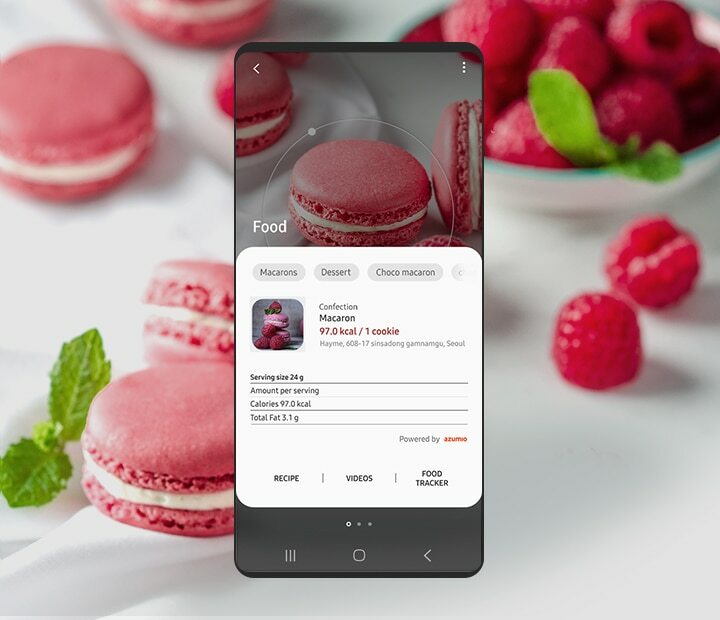 Scan your food with Bixby Vision to get started. See your food's calorie count and other nutritional information. Keep track of your intake to stay on top of your health goals. 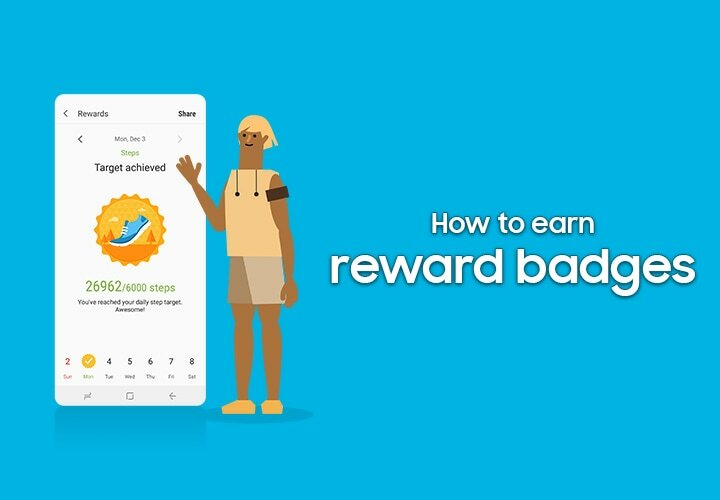 Hit milestones, earn rewards and compete with friends and other Samsung Health users. and see where you stand. Challenge friends around the world! Walking becomes more fun with others. 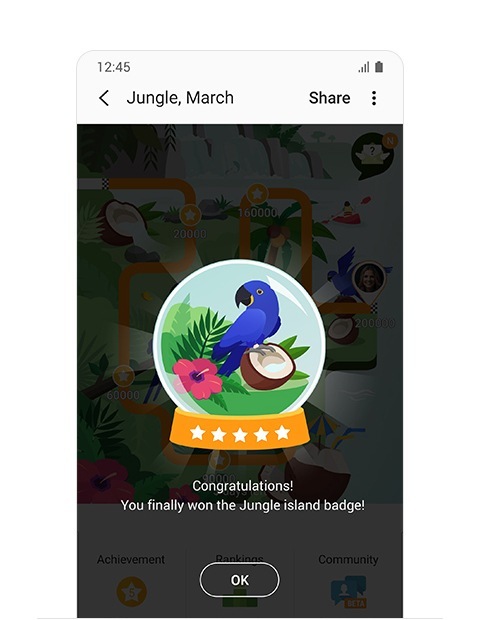 Earn badges for your breakthroughs. Every accomplishment deserves a shout-out. 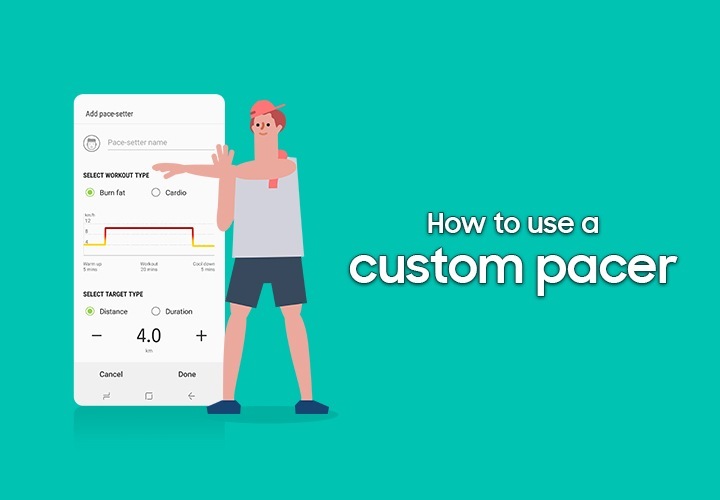 Samsung Health works with a number of Samsung devices, as well as other digital health equipment, to make tracking easy. 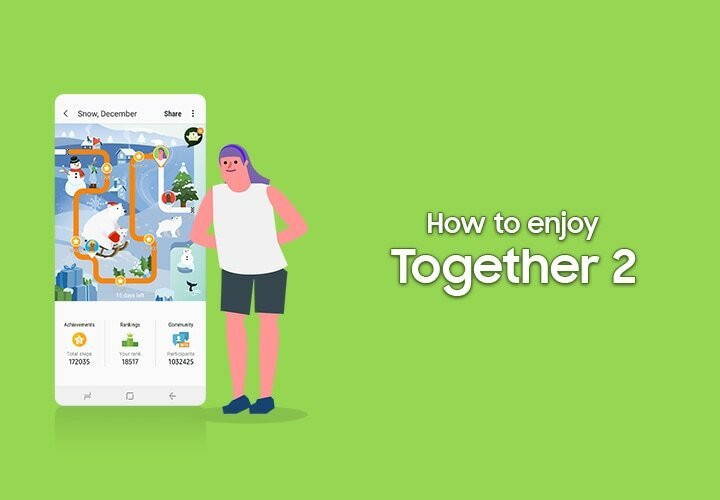 Samsung Health works seamlessly with a number of third-party apps including diet trackers or fitness apps. 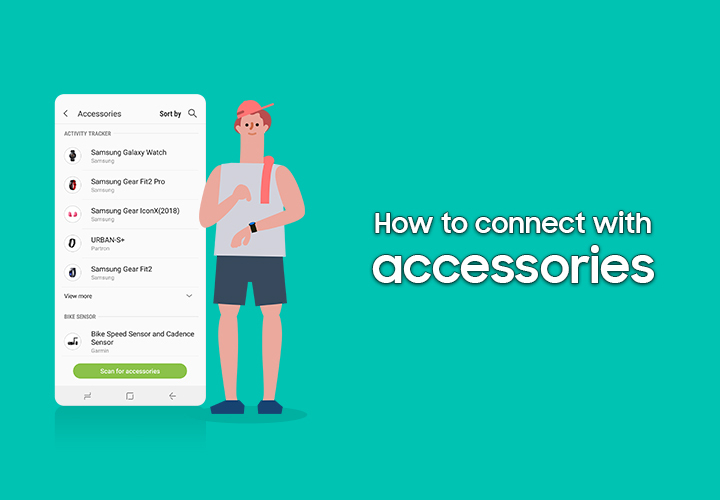 Get more out of Samsung Health by syncing with devices including glucose monitors or scales and keep close tabs on what’s most important to you. 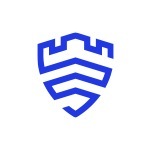 With Samsung Health, your information is secured with Samsung Knox - the award winning security platform. Samsung Knox ensures your health data is protected on hardware and software level. 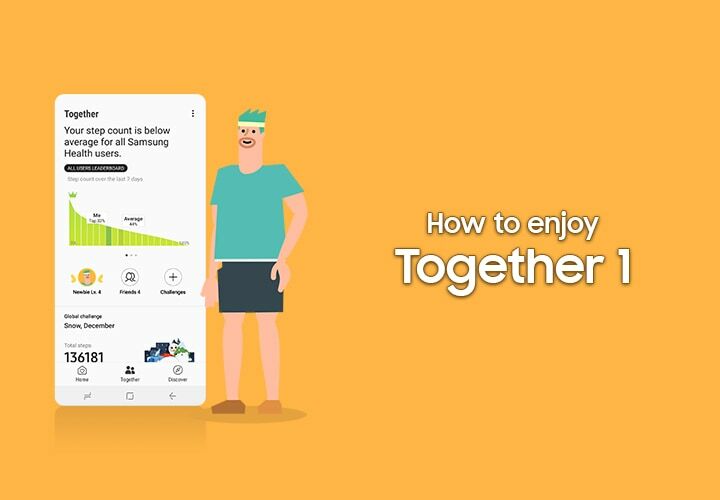 Get the most out of Samsung Health step by step. Master the basics and beyond. and make it your own! Want to make your workouts too fun to skip? and get fitter than ever! 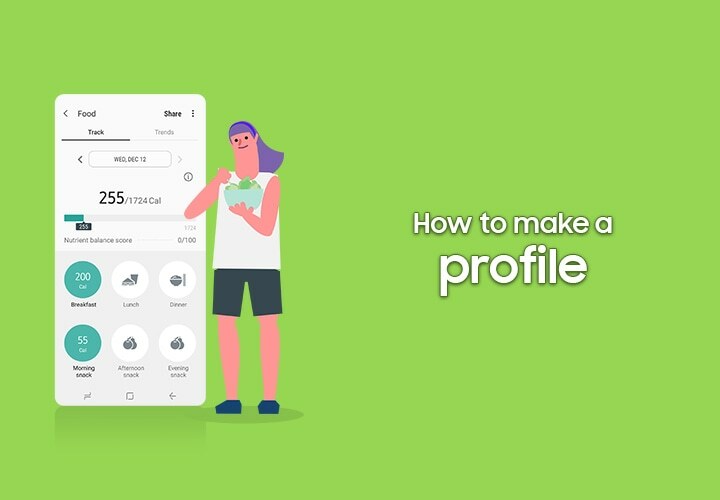 Download the Samsung Health app now. 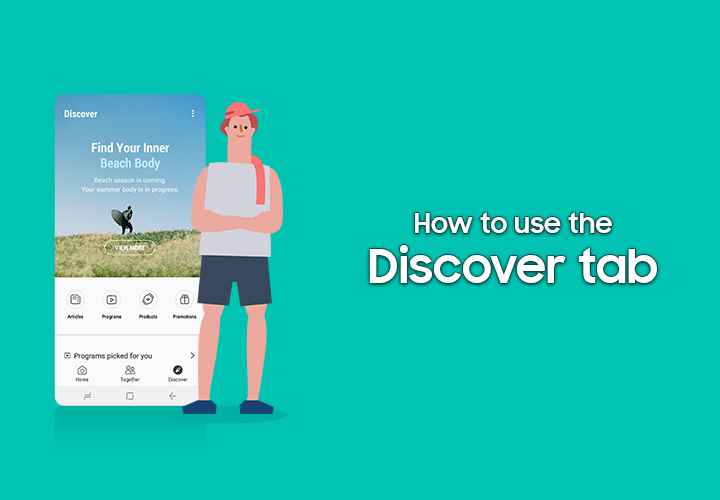 * This app is solely intended for fitness and wellness purposes only and is not intended for use in the diagnosis of disease or other conditions, or in the cure, mitigation, treatment or prevention of disease. Supported features might vary by country and device. 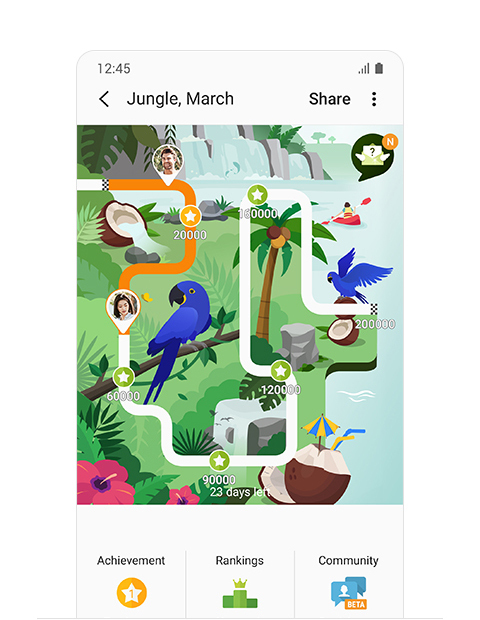 * Stress feature is not supported in Angola, Cyprus, Algeria, Canada, and Thailand. And it is supported by the Galaxy Watch, wearable and the Galaxy mobile phone with a sensor that can measure stress. * Heart Rate feature is not supported in Angola. 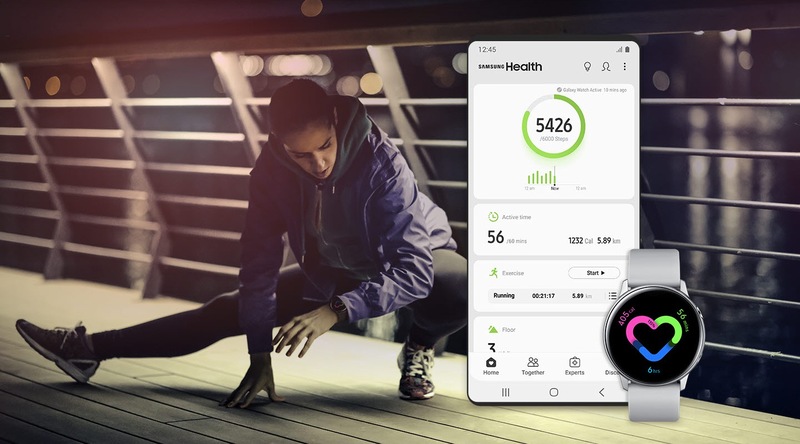 And it is supported by the Galaxy Watch, wearable and the Galaxy mobile phone with a sensor that can measure Heart Rate. * Device and screen images simulated for illustrative purposes.